This was the first Cornelia Funke book that I read and it made me an instant Funke fan! Posted in 8+, Adventure, Fantasy, Friendship. Bookmark the permalink. This timeless epic is beautifully retold by Robin Lister. The story is partly written through the narrator’s voice and partly through the earnest voice of Odysseus. I read this book initially when I was about 9 years old. Remembering how much I had enjoyed it first time round, I was keen to re-read it. Secretly, I was also hoping to glean some mythical inspiration for the story I am currently working on. Posted in 9+, Adventure, Classical Literature, Myth. Bookmark the permalink. 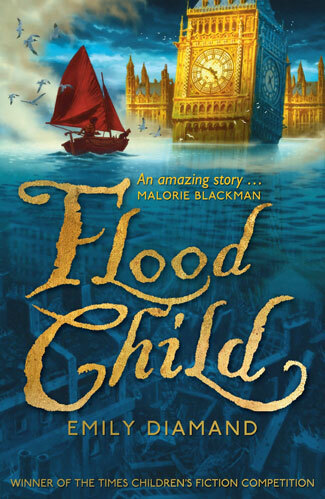 It is easy to see why Flood Child won the Chicken House competition in 2008. Readers will be swept away in the adventures of 13 year old Lilly, a girl living in London in the year 2216. Posted in 9+, Adventure, Family, Friendship, Global Warming. Bookmark the permalink. The is one of my favourite books from when I taught Year 4 Literacy. It is a gripping story of an Afghan family who must flee Afghanistan due to the Taliban’s oppressive rule. The Taliban laws make it illegal for girls to play football or even be outside without covering their faces. Posted in 9+, Adventure, Afghanistan, Childhood, Family, Friendship, Refugees, Sport, War. Bookmark the permalink.